Funeral services for Deszerae Glover, 55, of Killeen, will be 11 a.m. Monday at Church of Deliverance in Killeen. Burial will follow the service at Killeen Memorial Park. 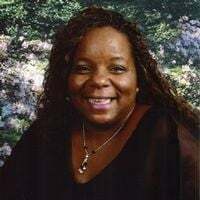 Mrs. Glover died Dec. 29, 2018, in Temple. She was born May 29, 1963, in Flint, Mont. Offer condolences at www.chisolmsfuneral.com. Chisolm’s Family Funeral Home in Killeen is in charge of local arrangements.